News >> Philosophy >> Who are the Grama Devatas? Is the system of local guardian deities has the sanction of scripture? 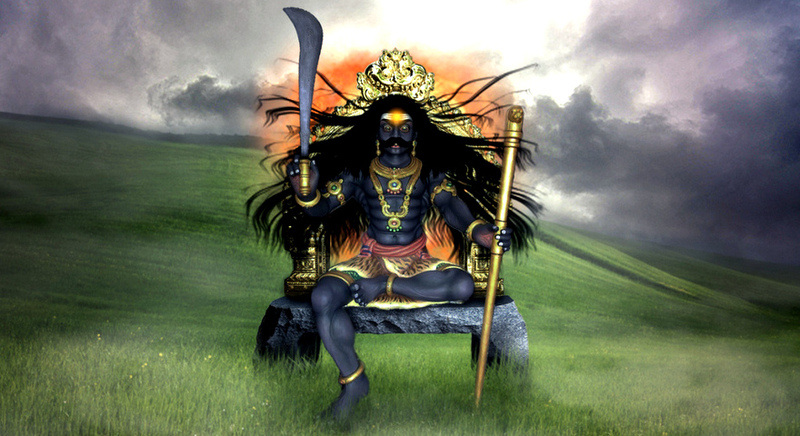 Grama devata is a Sanskrit term for the guardian deity of a village, town, or even city. While it is the common truth that God is everywhere and present at all times, there is a different kind of strength and peace in knowing there is a god specific for you and is present right here and now. 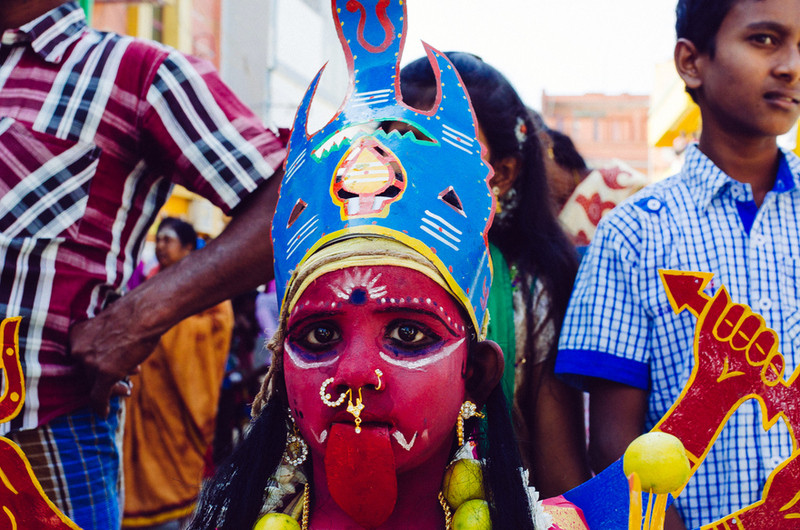 In villages, the local deities known as Grama devatas inspire such faith. 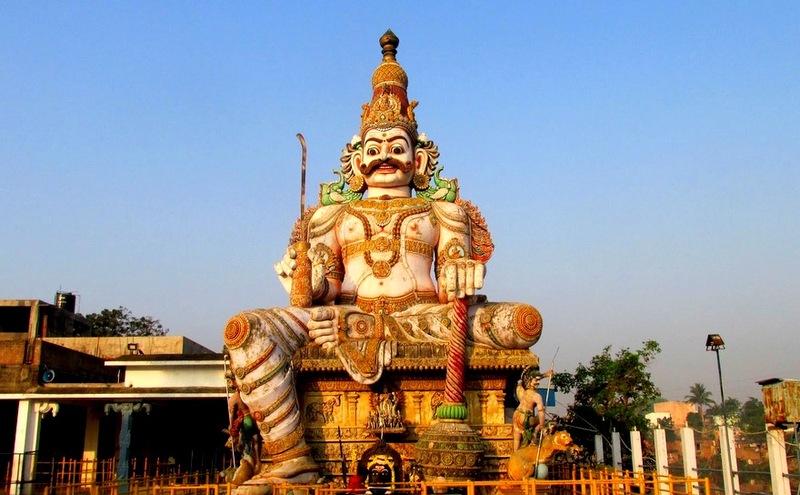 The universal teacher and the advaitic master Adi Sankara who had established the Amnaya Peetham at Sringeri, is said to have consecrated four guardian deities for the protection of Sringeri village and the surrounding areas. These deities, Kalabhairava, Hanuman, and Kali as Durgamba and Kalikamba, are worshipped even today with regular pujas in the Vedic style. Valmiki Ramayana describes in Sundara Kanda that Hanuman landed in Lanka of Sita and came to the entrance gates, when he was met by Lankalakshmi, the city’s guardian deity. 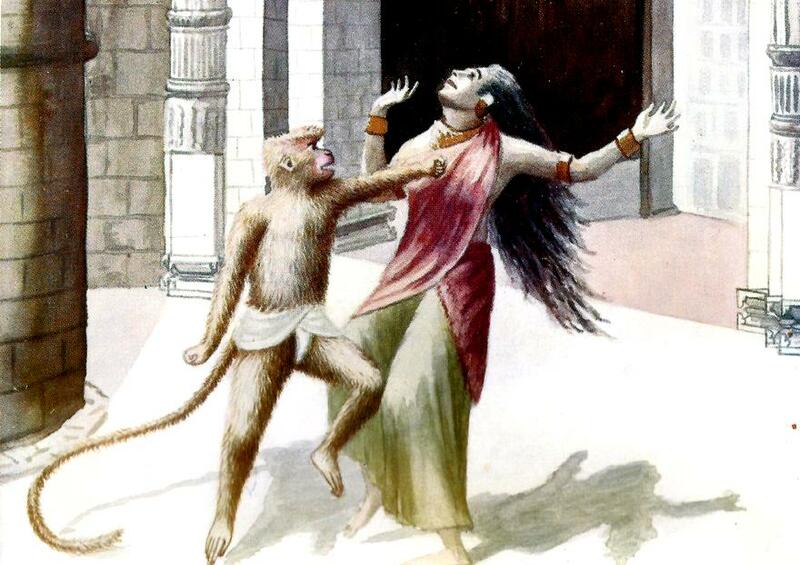 She blocked his path into the city, and demanded to know who he was and what he was doing, thus fulfilling her role as a guardian.Hanuman who was on a dharmic mission gave the answer by striking a blow to her and entered the city. The shrines of grama devatas are usually located in the outskirts of the village, symbolic of blocking entry for evil spirits and diseases. These deities are invoked by prayers, mantras tantras. Generally, these devatas are in female forms. 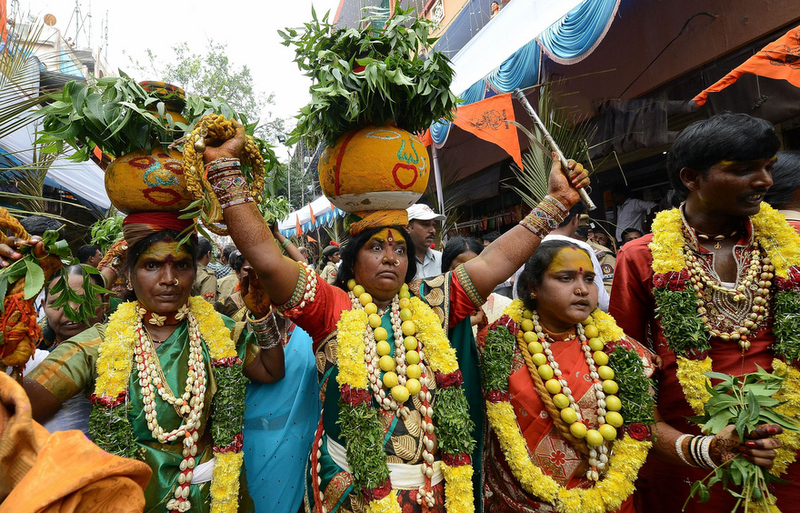 People set out on journeys after Praying to grama devata. Where they are not able to fulfill any vow at a temple faraway, they pray to the grama devata of their village and seek pardon. The priest of such grama devata shrines are mostly appointed by vedic scholars in accordance with the rules of Agama shastras. 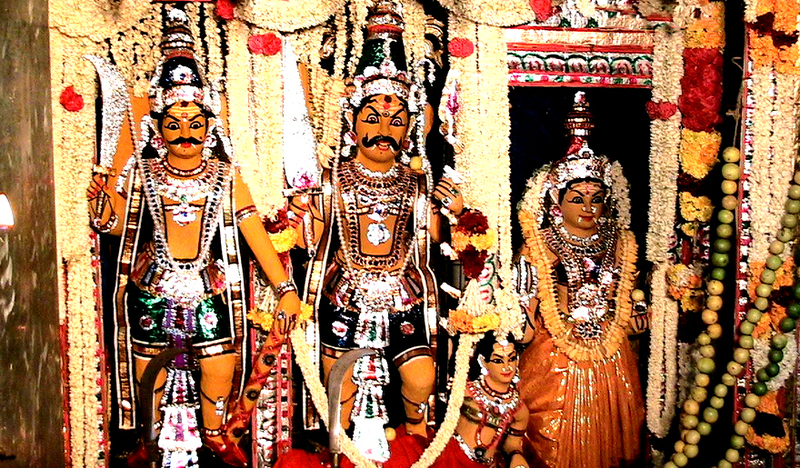 Along with the invocation, yantras with bijaksharas are placed beneath the images of the deities at an auspicious time. 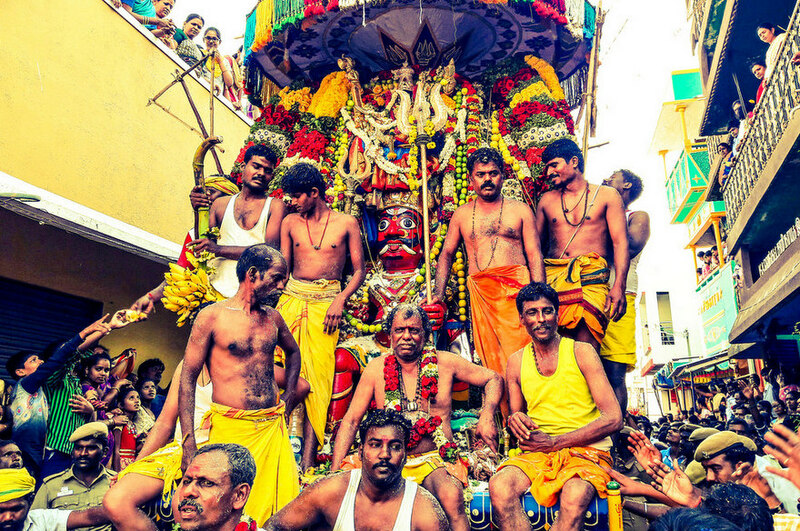 Annually, on the day of such consecration, villagers conduct a Pavitrotsavam- a solemn ceremony to ward off any error or shortfall in worship during the year with a view to maintaining the sanctity of the temple. 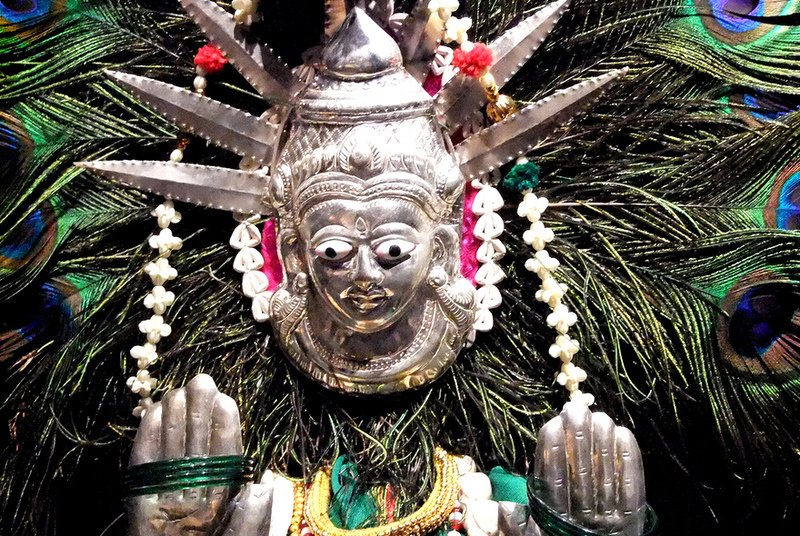 Prithvi Devata is primarily worshipped as the guardian deity as the village agrarian economy depends on earth and the local crop. 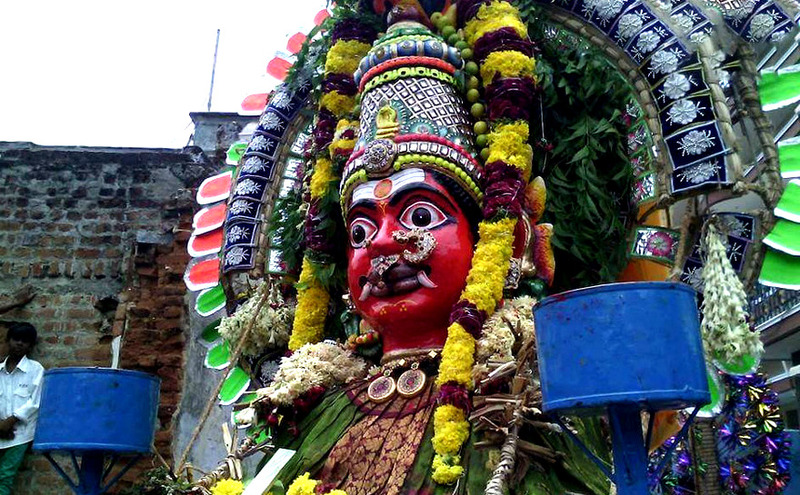 For instance, if the predominant village crop is gongura, the popular green vegetable that is used to make delicious pickles, the local guardian deity is prayed as Gogulamma or, if the crop is jowar (sorghum). Jonnallamma, and so on. Since their livelihood depends mainly on the crops, the villagers have the custom of offering their first produce to that devata before carrying on the usual business. 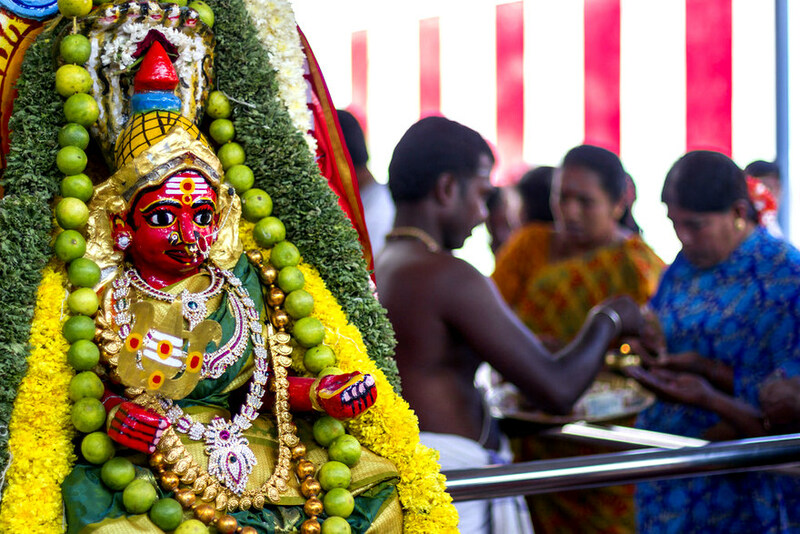 Likewise, the Gangamma, or the goddess of water is consecrated locally. Villages name the local deity in honour of the natural element of fire, as Suramma, or Irukallamma, which symbolises both sun and moon. The Poleramma to keep a watch on movements of people from and to the village, Nagesvaramma or Puttamma to protect the villagers from snake bites. Besides appeasing natural elements, villagers name local guardian deities for specific protections from diseases. 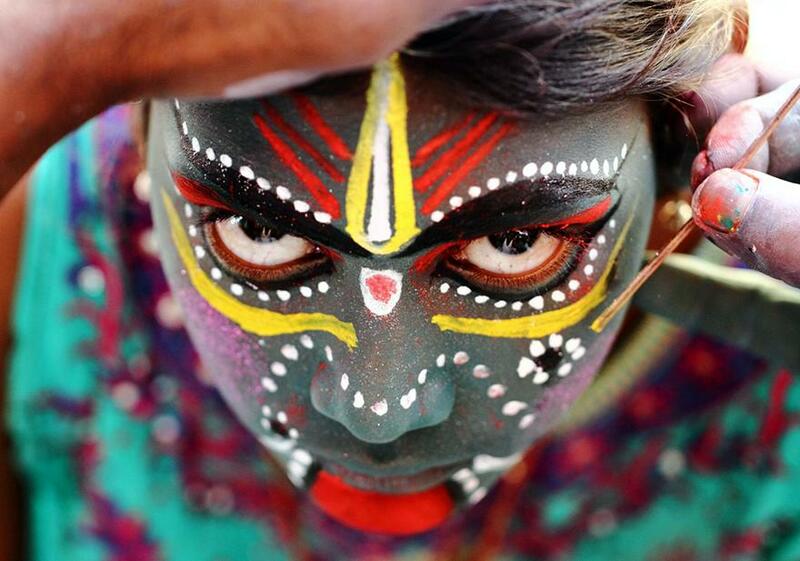 This practice can be seen in Tamilnadu where, Maari Amman was considered as a causative force for smallpox, chicken pox, mumps and measles. Maari in Tamil means rain. 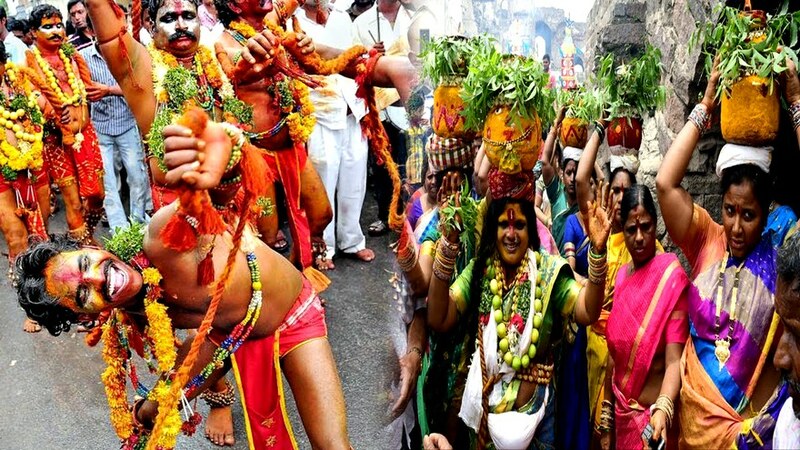 Since the rainfall cooled the otherwise hot area and protected people from summer sicknesses like viral infections, people started worshipping the rain goddess as Maari Amman. 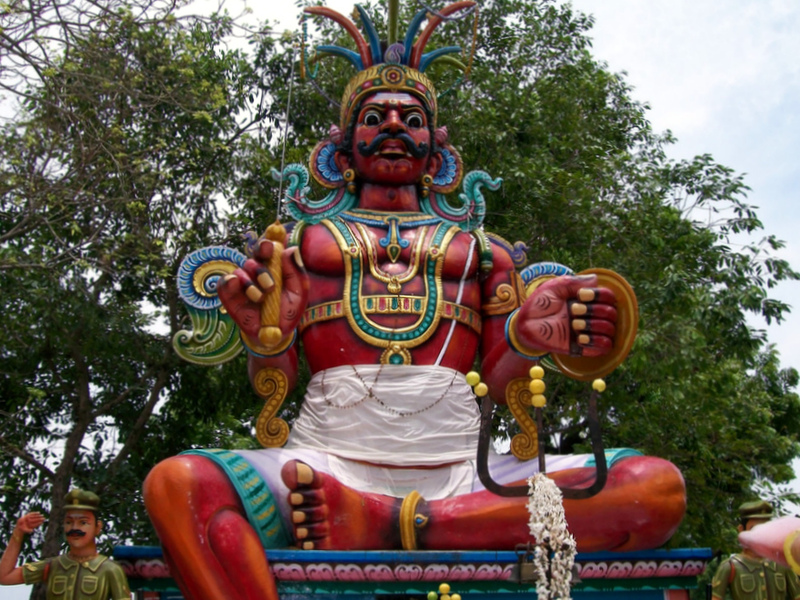 Karuppu Sami is one of the regional Tamil Hindu male deities popular among the rural social groups of Tamil Nadu and parts of Kerala. Most officiating priests are non-Brahmins and derive from local lineages that had initiated the cult generations ago. Karuppu Sami is also worshipped in Trinidad and Tobago, Guyana, Suriname, Guadeloupe, and Martinique under the name Dee Baba, Sangani Baba, Maangadu Karupu, or Sangili Karuppar. 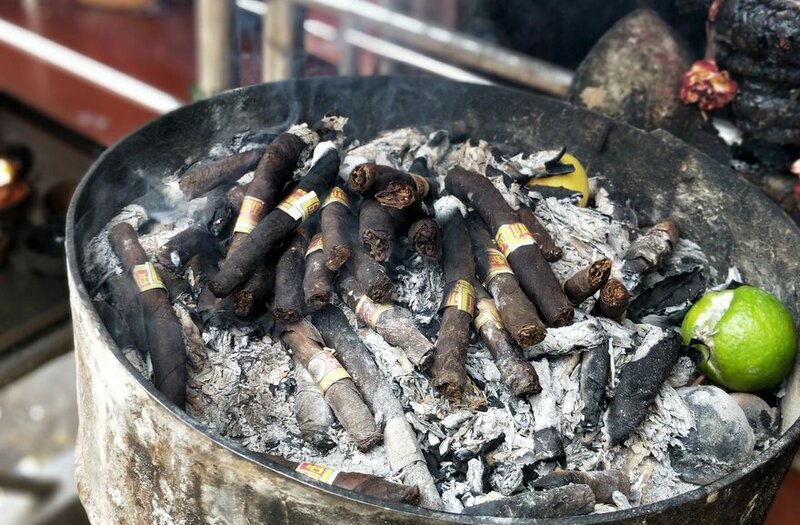 Offerings of cigarettes, camphor, biscuits, butter, cloves, ghee, and alcohol as well as a sacrifice of a black chicken or goat are made to him here. 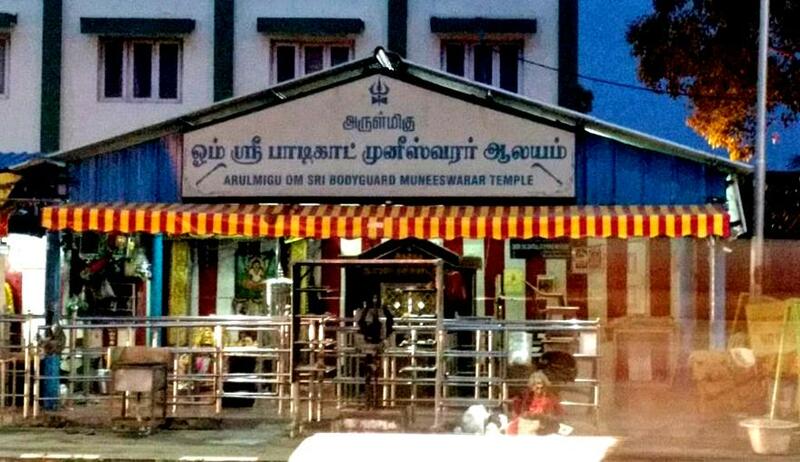 There is Bodyguard Muniswaran Temple in Chennai. In 1919 CE, labourers from North Arcot district brought the idol of Lord Muneeswarar to Madras city. They placed it under a neem tree adjoining the military barracks of the Britishers. One of the British Commanders showed his objection. The same day he met with an accident. He started believing that the idol has some powers so he let it be there. 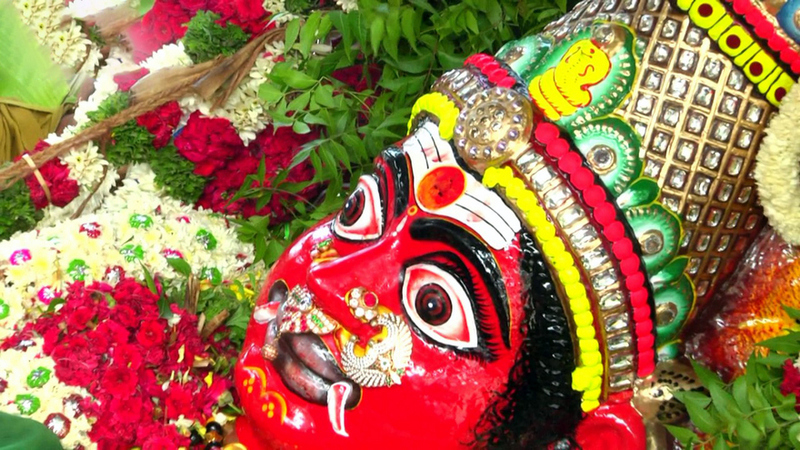 From the day many devotees around Chennai worship this Lord and constructed a temple around the idol. They believe that the main deity of the temple Lord Muneeswarar will save them from accidents. So the deity got the name of Bodyguard Muneeswarar. This temple is now visited by thousands of devotees each day. 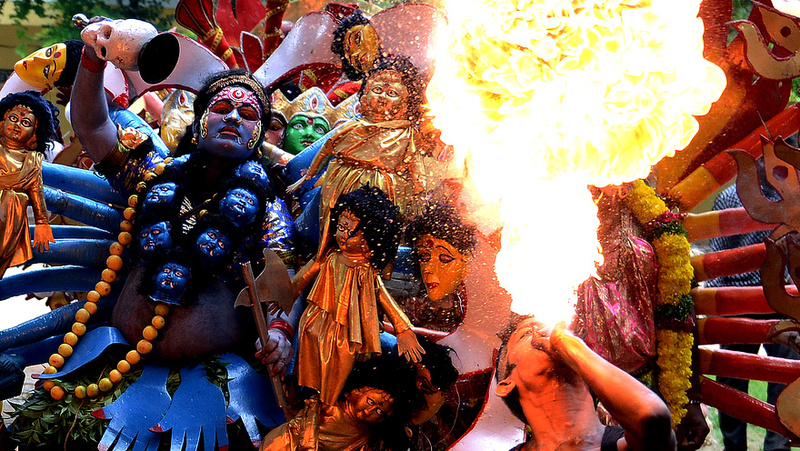 There is strange custom where devotees offer Tobacco cigarette to the prime deity. 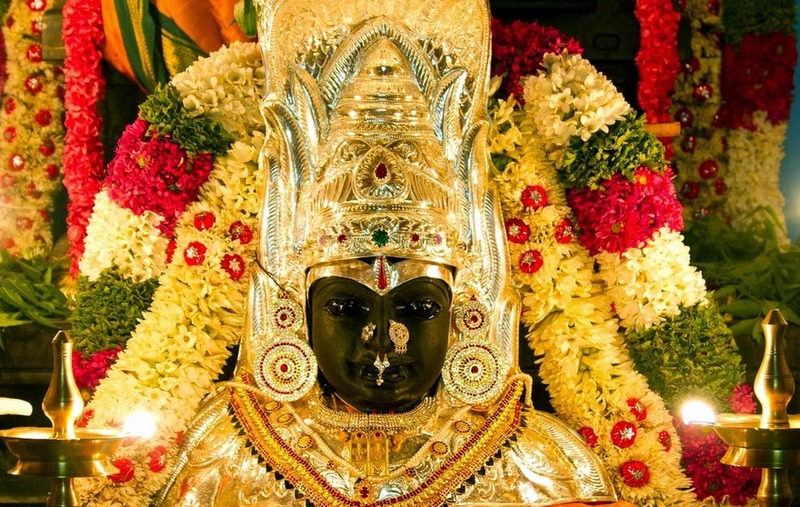 There are reportedly about 101 grama devatas in various parts of different states, which are all symbolic of the faith that once you surrender to the love of the deity consider the image as the local mother of everyone in the village, you leave your worries to the higher power and sleep peacefully. Sri Ramakrishna Paramahamsa says whatever be your concept of God, be it with form or formless, hold fast to it and ardently worship the divine. At the same time, be not conceited that your concept alone of divine is final. In the course of your sadhana, you will come to know by the divine grace that the words attributes and forms are inexhaustible. The approach of worshipping the multifarious forms of divinity through grama devatas finds the sanction in Bhagavan Gita. Lord Krishna declares that worshipping him in whatever way is acceptable to him, as these several ways of understanding the Lord by the devotees are all their respective jnana yagnas or sacrifices of Knowledge. Others, who are engaged in the cultivation of knowledge, worship the Supreme Lord as the one without a second, diverse in many, and in the universal form.